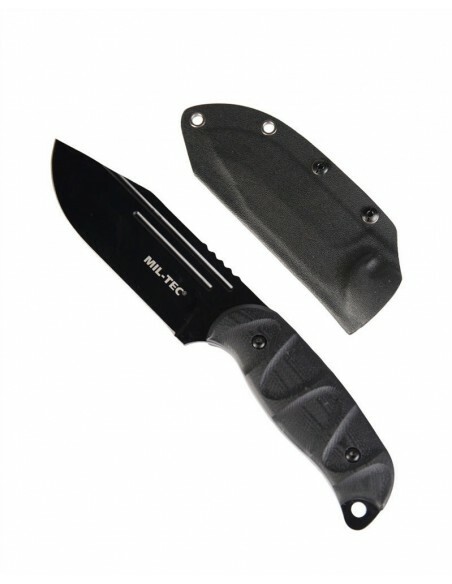 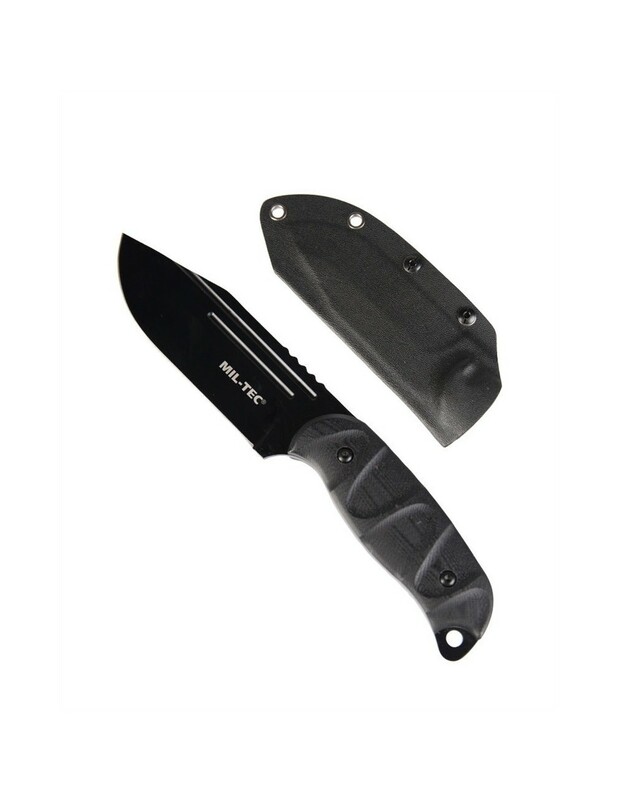 Robust tactical knife with curved, smooth stainless steel blade. 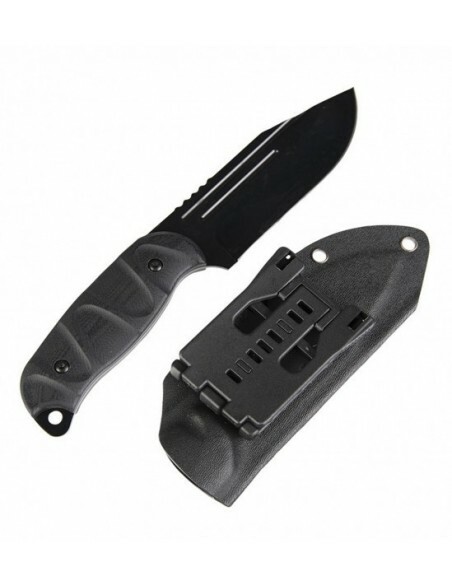 Comes with kydex sheath which can be positioned in different ways. 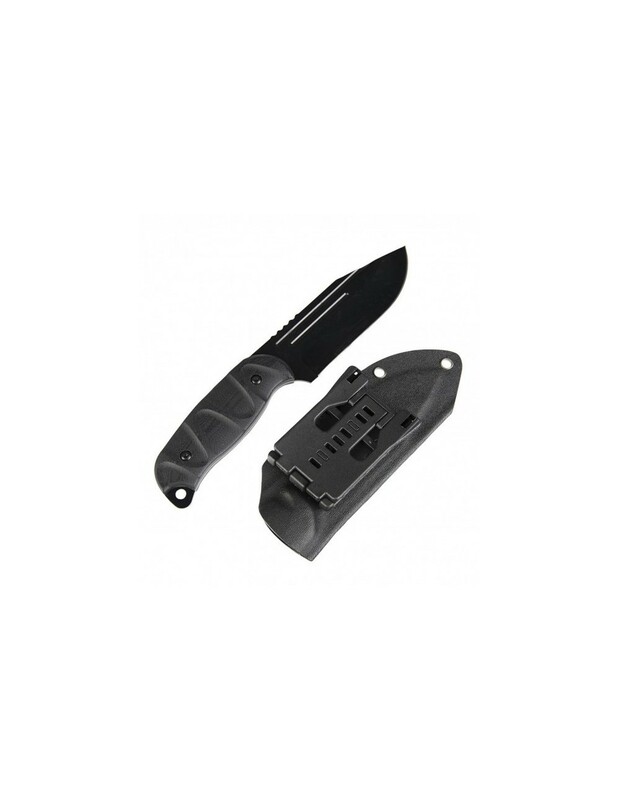 Suitable for all kinds of hunting, outdoor life, outdoor as well as collectors of militaria.